I happened to have an hour free on a Sunday & I was near the Diplomatic enclave. So decided to go to the Railways Museum. 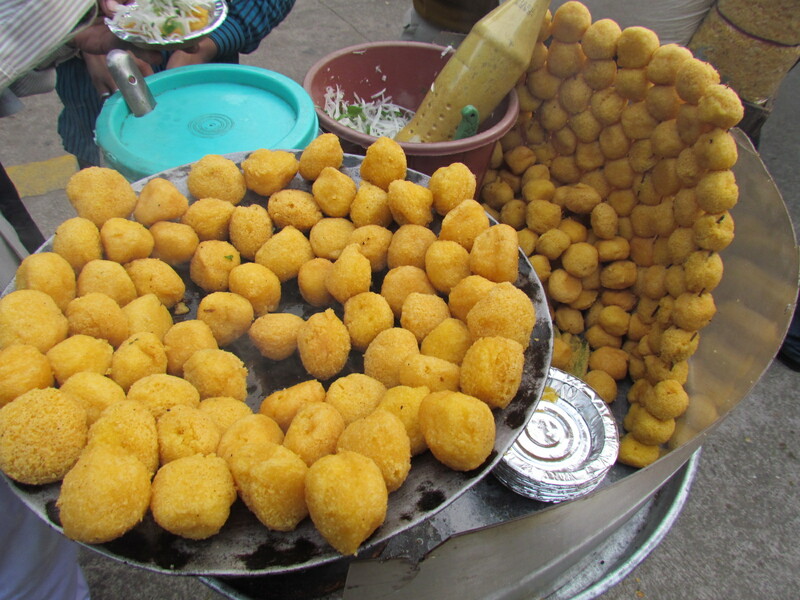 As I parked my car & started walking towards the queue of the Ticket counter, I spotted a thin old smiling man selling something that looked like pakoras – I had seen this many times before but never really stopped back & tasted. While waiting in the queue I decided to go for the pakoras. 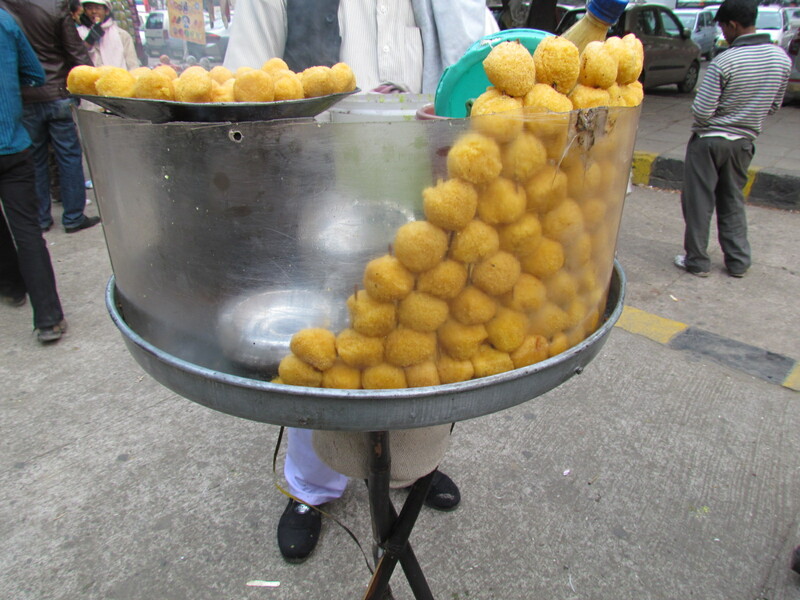 So walked up to him & asked about the pakoras to be told that they were laddoos!!!! 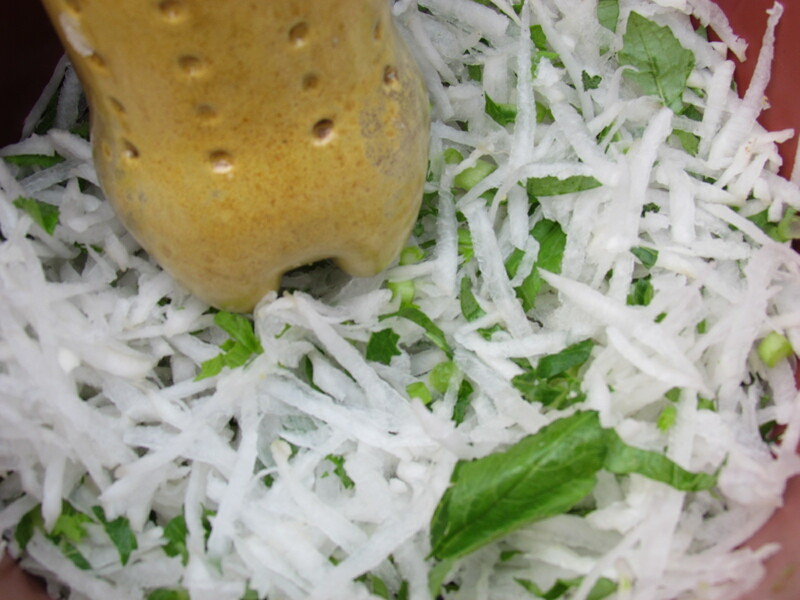 I started chatting with him as he started to prepare my plate – He makes the laddoos at home. On the stall he has a small tawa on a burner on which he keeps the home made laddoos in batches. 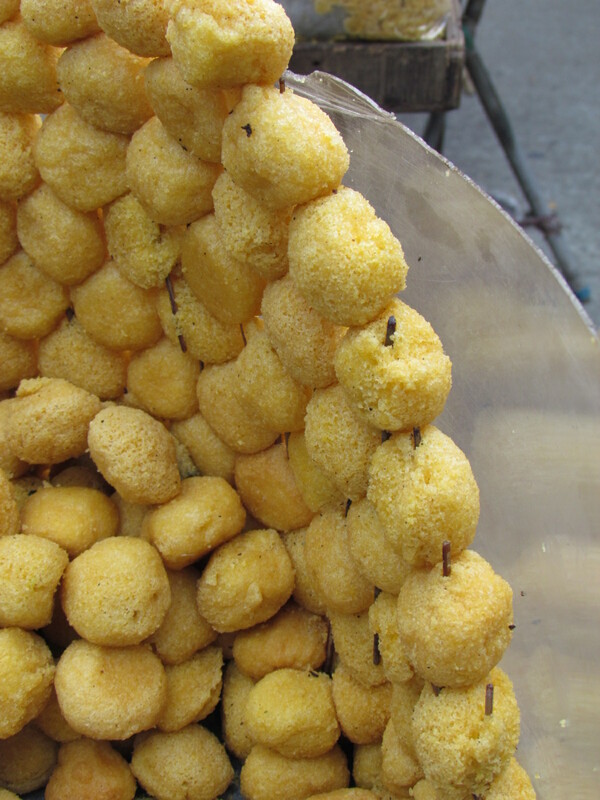 The laddoos get roasted further & crunchy on the edges as they are kept in slow fire. He serves the roasted ones & refills the tawa with new laddoos. He said he spends about an hour in the morning to set up his little stall – ‘jo dekhne me accha lage, wohi to bikta hai’ meaning ‘What looks attractive, sells’. So his sense of Visual Merchandising makes him skewer the laddoos & display them at the edge thru the transparent plastic cover. The Ram Laddoos, I was told was made with moong daal & matar daal. 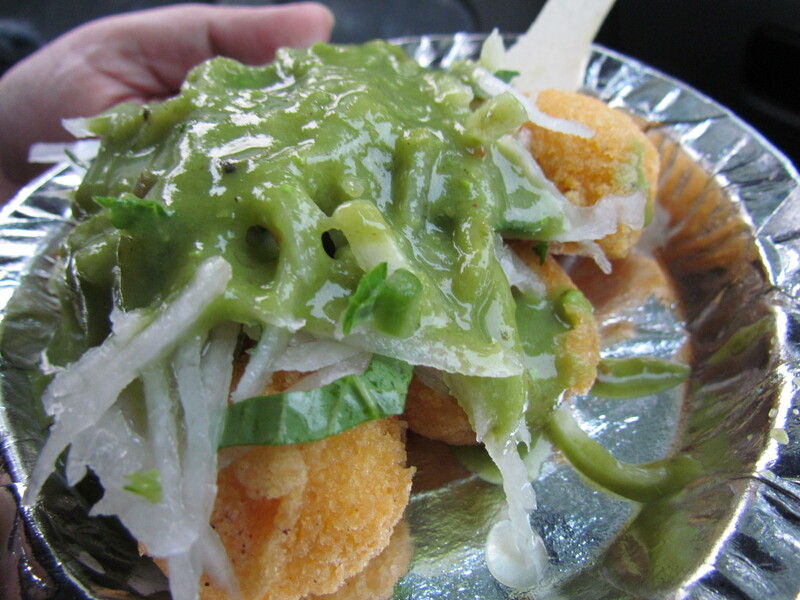 They were crunchy on the outside & soft inside with the daal flavors coming in. These were finally served with fresh grated mooli (radish) which r still crunchy & some outstanding thick green chutney & a magic secret masala powder. Loved it…………… went back to have one more plate on the way back from the museum.